By the third month of fetal development, the heart and all major blood vessels are basically formed, and the blood flow is generally the same direction as the adult. However, there are some major differences between fetal and postnatal circulation (Fig. 19). First, oxygenated blood flows toward the fetus and into the heart in umbilical veins, and deoxygenated blood flows away from the fetus in umbilical arteries. Second, the fetus obtains oxygen from the uterus through the placenta, and the fetal lungs are essentially nonfunctional. Therefore, fetal circulation has a number of features to direct most of the blood away from the lungs. In fetal circulation, oxygenated blood from the placenta flows toward the heart. Most of it is diverted away from entering the liver (through the ductus venosus) and into the inferior vena cava. Thus, unlike the adult heart, oxygenated blood mixes with deoxygenated blood and collects in the right atrium. Because very little of this blood is required in the lungs, the fetus has three unique features to ensure that the blood is shunted from the right (pulmonary) side of the heart to the left (systemic) side. The first is an oval hole in the interatrial septum; this hole is called the foramen ovale ("oval hole"; the foramen ovale is not really a hole, but rather a valve covered by two flaps that prevent the regurgitation of blood). For more information on this topic, refer to Chapter 2. Fig. 19. Fetal circulation. 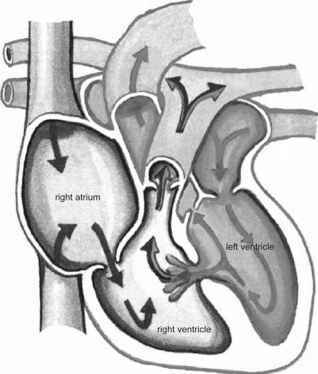 The fetal heart has unique features to shunt blood away from the relatively nonfunctional lungs: foramen ovale, ductus arteriosus, and valve (eustachian) of the inferior vena cava (IVC). Before birth, pressure is higher in the right atrium than in the left because of the large vasculature from the placenta. The foramen ovale is a passage for blood to flow from the right atrium into the left. A second feature of the fetal heart is the ligament of the inferior vena cava. This ligament is located inferior to the opening of the vena cava and extends medially to atrial septum passing inferior to the foramen ovale. It is much more prominent in the fetus than in the adult and functions in fetal circulation to direct, in a laminar flow, the blood coming into the right ventricle toward the foramen ovale, to pass into the left atrium. Fig. 20. Chiari network. The ostia of the superior and inferior venae cavae, as well as the coronary sinus, incorporate into the smooth wall of the definitive right atrium. Two tissue flaps develop on the sides of the ostia as the left and right venous valves. The left valve eventually gives rise to the septum secundum (definitive interatrial septum); the right valve gives rise to the valve of the inferior vena cava (eustachian), the valve of the coronary sinus (Thebesian), and the crista terminalis. Incomplete resorption of the right valve of the embryonic sinus venosus leads to the presence of a meshwork of fibrous strands attached to the edges of the eustachian valve or the Thebesian valve inferiorly and the crista terminalis superiorly. IVC, inferior vena cava; SVC, superior vena cava. Right: human cadaveric hearts. Left: from Human Embryology, 2nd Ed. (1997), W. J. Larsen (ed. ), Churchill Livingstone, Inc., New York, NY, p. 163, Fig. 7-12. © 1997, with permission from Elsevier. systemic circulation. Despite the shunt from the right atrium to the left, much of the oxygenated blood that enters the right atrium gets pumped into the right ventricle. The ductus arterio-sus ("duct of the artery") is a connection between the left pulmonary artery and the aortic artery so that very little blood reaches the immature lungs. Because the pulmonary vascular resistance of the fetus is large, only one-tenth of right ventricular output passes through the lungs. The remainder passes from the pulmonary artery through the ductus arteriosus to the aorta. In the fetus, the diameter of the ductus arteriosus can be as large as that of the aorta. Shortly after birth, the umbilical cord is cut, and the newborn takes a first breath. Rising concentrations of the hormone prostaglandin are believed to result in the closure of the ductus arteriosus (forming then the ligamentum arteriosum), and the lungs receive much more blood. The increase in pressure is translated to the left atrium; this pressure pushes together the two valve flaps of the foramen ovale (fossa ovalis), closing them and preventing the flow of blood from the right to the left atrium. Between 3 and 4 weeks of fetal development, the openings of the superior and inferior venae cavae and future coronary sinus are incorporated into the posterior wall of the right atrium and become the sinus venarum (smooth) portion of the right atrium. A pair of tissue flaps, the left and right venous valves, develops on either side of the three ostia. The left valve eventually becomes part of the septum secun-dum (which becomes the definitive interatrial septum). The right valve remains intact and forms the valve of the inferior vena cava (eustachian), the crista terminalis, and the valve of the coronary sinus (Thebesian) (Fig. 20). Infrequently, incomplete resorption of the right valve of the sinus venosus may lead to the presence of a meshwork of fibrous strands attached to the edges of the eustachian valve or Thebesian valve inferiorly and the crista terminalis superiorly. This is called a Chiari net or network (Fig. 20). Remnants of the other valve, the left sinus venosus valve, may be found adherent to the superior portion of the atrial septum or the fossa ovalis. 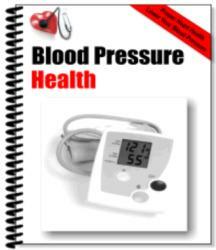 For more information on this topic, refer to Chapters 2 and 6. The first step in the separation of the systemic and pulmonary circulation in the fetal heart is the separation of the definitive atrium. The adult interatrial septum is formed by the fusion of two embryonic septa. However, note that right-to-left shunting of oxygenated blood remains. Fig. 21. Atrial septal defect. Incomplete formation of the septum secundum over the ostium secundum results in a persistent opening in the interatrial septum. After birth, the pressure in the left atrium is greater than in the right, and there is modest left-to-right shunting of blood. However, the right atrium responds to continuous increases in volume, and the pressure increases in the right side. The result is a reverse in the flow from the right to the left atrium, resulting in oxygen-poor blood in the aortic artery and symptoms of hypoxia. 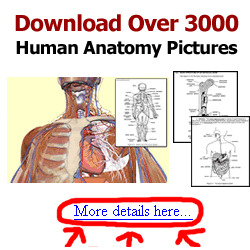 Modified from Human Anatomy, 4th Ed. (1995), K. M. Van De Graaff (ed. ), Wm. C. Brown Communications, Inc., Dubuque, IA, p. 557. Reprinted by permission of The McGraw-Hill Companies. edge of the septum primum reduces the ostium primum to nothing. At the same time, the septum primum grows perforations that coalesce to form a new foramen, the ostium secun-dum ("second opening"). Thus, a new channel for right-to-left blood flow opens before the old one closes. At the same time, a second crescent-shaped wedge of tissue, the septum secundum ("second partition"), grows from the roof of the atrium. It is located adjacent to the septum primum on the side of the right atrium. Unlike the septum primum, the secundum is thick and muscular as it grows posteroinferiorly. It completely extends to the floor of the right atrium and leaves a hole in the inferior portion, the foramen ovale. Throughout the rest of fetal development, blood shunts from the right to the left atrium to pump out of the heart through the aortic artery. 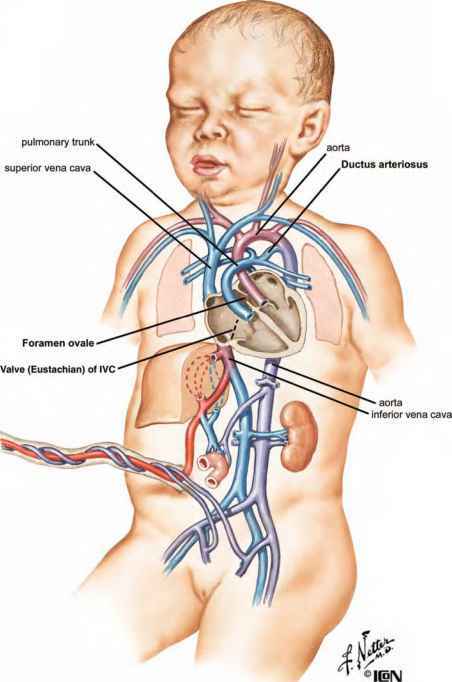 This shunt closes at birth because of the abrupt dilation of the pulmonary vasculature combined with the loss of flow through the umbilical vein. The increase in pressure in the left atrium and the loss of pressure in the right push the flexible septum primum against the septum secundum. 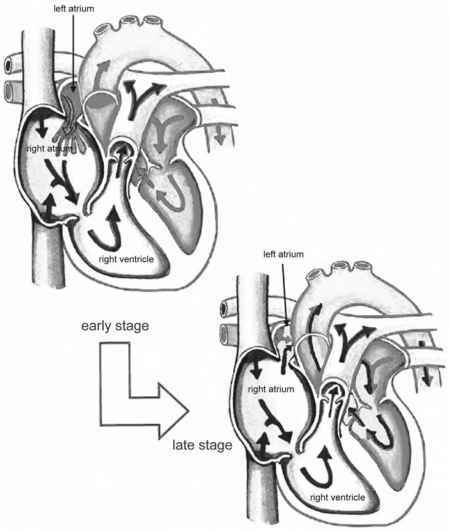 If the septum secundum is too short to cover the ostium secundum completely, an atrial septal defect allows left-to-right atrial flow after the septum primum and septum secundum are pressed together at birth (Fig. 21). This abnormality is generally asymptomatic during infancy. However, the persistent increase in flow of blood into the right atrium can lead to hypertrophy of the right atrium, right ventricle, and pulmonary trunk. In some cases, during adulthood (roughly 40 years of age) pulmonary hypertension develops, and the left-to-right shunt converts to a right-to-left shunt. Thus, increased pressure in the right atrium results in right-to-left blood flow across the atrial septum. 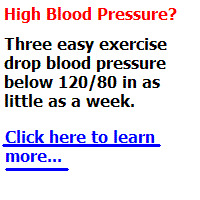 This causes oxygen-poor blood to mix with the oxygen-rich blood returning to the left atrium from the lungs. Fig. 22. Ventricular septal defect. Caused by abnormal development of the interventricular septum, a ventricular septal defect results in massive left-to-right shunting of blood. It is associated with pulmonary hypertension and deficient closure of atrioventricular valves after birth. Emergent surgical repair of this hole is indicated. Figure modified from Human Anatomy, 4th Ed. (1995), K. M. Van De Graaff (ed. ), Wm. C. Brown Communications, Inc., Dubuque, IA, p. 557. Reprinted by permission of The McGraw-Hill Companies. The developmental formation of the interventricular septum is extremely complex. Simply, the septum forms as the growing walls of the right and left ventricles become more closely apposed to one another. The growth of the muscular septum commences at the inferior end and proceeds superiorly. Septa-tion of the ventricles and formation of the ventricular outflow tracts (membranous interventricular septum) must occur in tight coordination. Ventricular septal defects can occur because of errors in this complex process. Failure of complete fusion of the membranous septum (from the aortic and pulmonary outflow tracts) and the muscular septum results in one type of ventricular septal defect, the most common congenital heart defect (Fig. 22). Whatever the origin of a ventricular septal defect, the result is always a massive left-to-right shunting of blood. This is associated with pulmonary hypertension and deficient closure of atrioventricular valves after birth. This type of condition is often referred to in lay terms as a "baby born with a hole in the heart." Because of extreme hypoxia, there is usually immediate surgical repair of the defect. For additional information on such defects and the means for their repair, refer to Chapter 29. What is foramen ovale function? What unique feature is found only in the fetal heart? What characteristics of fetal pulmonary circulation tends to shunt blood away from the lungs? Which one of the following structures shunts blood away from the lungs? When are fetal heart valvles formed? When is foetes heart septum form? When is a fetus heart fully formed? What uniqe structher found only in fetal heart? Where is the foramen ovale in the fetal heart located? Where is the foramen ovale in a baby? What characteristic of fetal pulmonary circulation tends to shunt blood away from the lungs?